An OUI in Maine is known as a DUI or DWI in other states. OUI stands for Operating While Intoxicated. 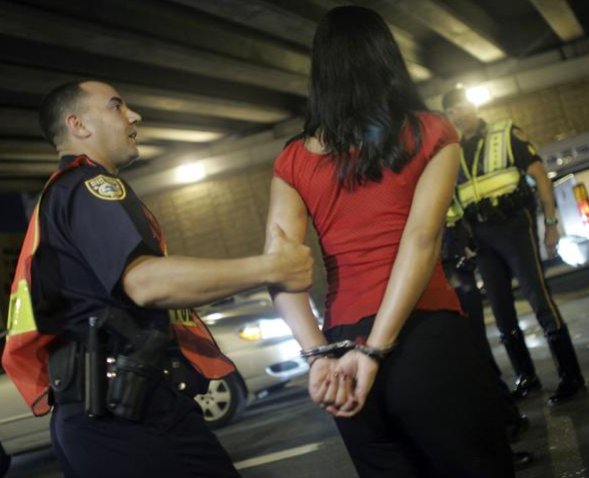 DUI means Driving under the Influence, and DWI is Driving While Intoxicated. And OUI Alcohol charge in Maine means a driver was pulled over and arrested for having a blood alcohol content (BAC) level at or above .08 grams percent. A driver’s BAC score is retrieved from a police officer’s portable breath tester, or breathalyzer at the side of the road. This initial breath test is not the official state test, which is given after you are handcuffed and arrested. This official and admissible Intoxilizer test is administered at the local jail or police headquarters, or the police may order a blood test if you refuse to blow into the Intoxilizer machine. A Maine driver can also be arrested for driving while intoxicated on substances other than alcohol. These substances include prescription medications, illegal drugs like marijuana, and even inhalants. Marijuana impairment levels currently are hard to determine at the roadside because at present there is no marijuana breath tester. A California company claims they have invented this exact device and that it can differentiate between someone who smoked weed in the last few hours vs. someone who has THC present in their bloodstream because they smoked 30 days ago. This portable marijuana breathalyzer is being deployed in trials across the country. What Is an OUI Alcohol Charge? A Maine OUI alcohol charge will be issued if a motorist is actively driving a vehicle with a BAC at or above .08 grams percent, or even is attempting to start their car while over the legal limit. Plus, even if you are sleeping in a parked vehicle, if your blood or breath alcohol level from an implied consent test turns out to be .08 grams percent or greater, and adult driver faces the related crime of being over the legal limit for alcohol in their bloodstream. You can be found guilty of OUI in Maine even if your BAC is below the legal limit for your type of driver’s license and your age. Lower legal limits are in place for commercial vehicle CDL license holders, and for all drivers under 21 years of age. Follow LINK for more information about Maine OUI laws. What Should I Do the Day After I Get Arrested for OUI Alcohol? Maine’s OUI alcohol laws are very strict and confusing. At a minimum you should call Big John Webb in Saco ME or Portland ME and tell him what happened. Attorney Webb will explain what you should do next to get your license back and avoid painful penalties like expensive court fines, community service, and losing your right to drive. Mr. Webb will provide you with a free professional case evaluation. This evaluation will involve a careful analysis of the facts of your case, your personal medical and physical history that could affect your OUI defense, and an outline of the defenses available to you. Can I Still Legally Drive After My OUI Alcohol? The answer depends on if you have had previous OUIs, your age, and if you refused to take the breath test. Saco OUI lawyer John Webb will explain how to keep your driver’s license from getting suspended, but you should call him immediately because the state of Maine can suspend your license if you do nothing. Your license may be suspended for up to 12 months – that’s a whole year without driving, or only being allowed to drive to and from work or school. What Happens if I Just Plead Guilty to OUI Alcohol? You can certainly walk into your first court date and plead guilty to driving while impaired on alcohol, plus any other traffic offenses you were charged with after being pulled over. These additional charges can include open container of alcohol and speeding. But the lifelong consequences of having an OUI alcohol conviction on your permanent record must be talked about before you make that decision. John Webb will explain during your FREE consultation the total cost of an OUI conviction, including higher car insurance rates, losing your job once your employer finds out, and being turned down for future employment opportunities. Your chances of beating a Maine OUI may seem slim, but there are many defense strategies that can be used in court. John Webb has years of courtroom experience and case wins, and he truly wants to help you and your family. John will review your arrest video to make sure the police officer followed correct procedures from stop to arrest. When Should I Contact a Maine OUI Lawyer? You should contact Big John Webb or his two very able associate attorneys in Maine, Katie Campbell and Vincent LoConte anytime day or night, including Saturdays and Sundays. The more time John and his legal team have to review evidence and file motions with the court, the better your chances of a favorable outcome to your case. Call John at (207) 283-6400 t set up an in-person meeting in Saco or Portland. Memories fade, eyewitnesses get harder to track down, and your stress level increases the longer you wait.